Cleaning out and restoring the barn involved several hundred hours of work – it was definitely a labor of love. With tired backs, callused hands and the satisfaction of working side by side with family, we shoveled, hammered and dug. We knew we were doing the right thing in restoring life back into a proud but weary barn. We honored the original structure our ancestors had crafted with their own hands in the mid-1800s. The hand-hewed and wooden-pegged frame was restored using beams from other structures on the farm that were too dilapidated to save. While we reused as much original wood as we could for the restoration, The Barn’s exterior features new wood that was milled by Amish woodcrafters. 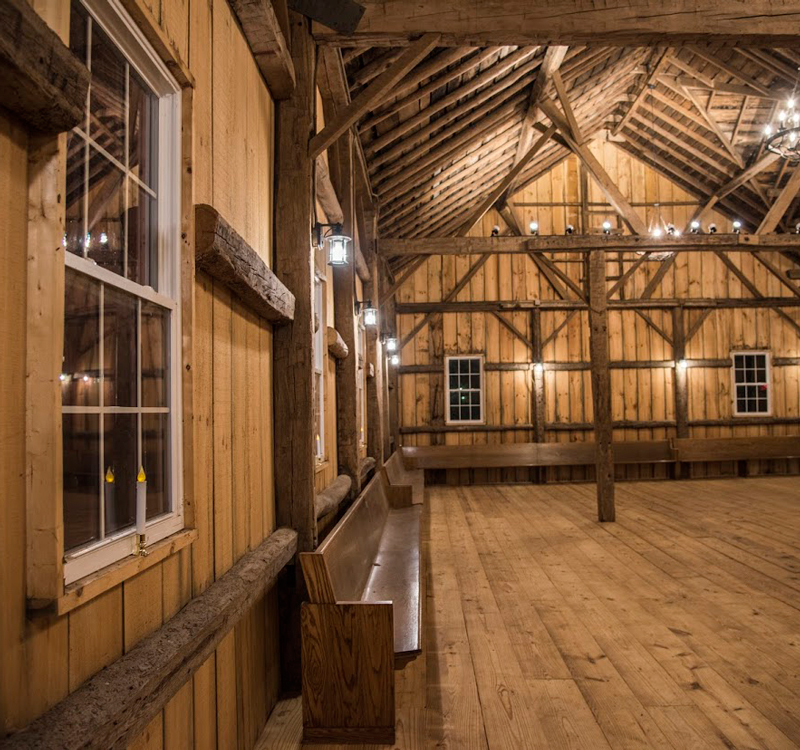 On November 30, 2017, after three years of laboring, our family celebrated the rebirth of The Barn at Folk Song Farm. Today The Barn stands with rustic poise and strength and yet exudes an unmistakable air of romance, majesty and elegance. In addition to its restored stone foundation and original hand-hewed timbers, it is graced by new wooden floors and five stunning chandeliers, and spacious 20 x 40 deck facing Holy Hill. Folk Song Farm is eager to welcome you!